The design combines excellent photography that Christophe provided with earthy colors and a simple layout. A lot of attention was given to the typography to create a unified look throughout the website and to make sure that dense information such as event listings would be uncluttered. Christophe’s main need is an event schedule that is easy to update. Using WordPress, he can now edit all aspects of the site including his events, blog posts, and all text and images. 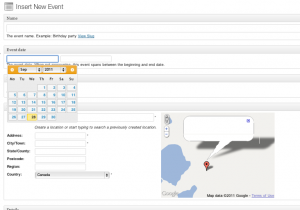 The event manager we included is a powerful tool that makes it easy to create new events, online registration, and location pages with maps and directions. 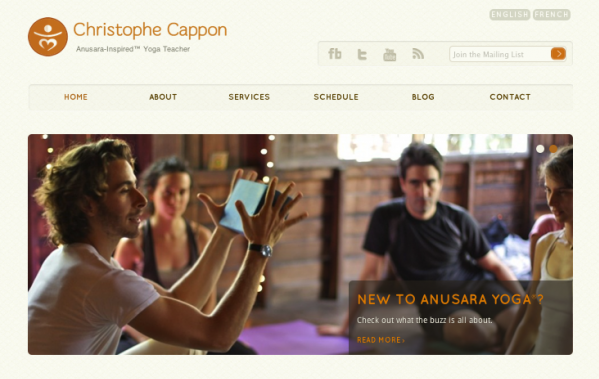 The manager was customized to fit Christophe’s needs by categorizing events as either Workshops, Retreats, or Events. Past events are automatically archived so students can see where he has taught over the year. In both the planning and design stages, a lot of attention was given to making sure that the information on the site was well-organized and easy to find. A live twitter feed and blog posts enable Christophe to communicate with his visitors, and comments, event registration and a contact form make it easy for visitors to contact him. The most important element of his site – his schedule – is available on all pages of the site. An easy-to-manage slideshow on the homepage shows upcoming events that Christophe wants to highlight. During the design process, we both felt it was necessary to only include features and design elements that would make the site useful and personal. We worked together on design revisions and refining the functionality of the site until we arrived at a finished product that is clean, spacious, and reflects Christophe’s style. For a teacher with a busy schedule, having a recognizable brand is important. 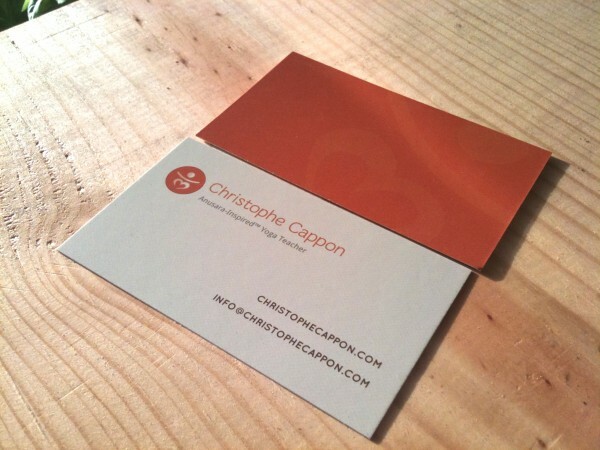 Christophe’s website, business cards, and flyers are tied together visually with a custom-designed logo and style. His flyers are completely editable using iWork. What marks me most about David is both his passion for creating outstanding work and his dedication to serving his clients fully. 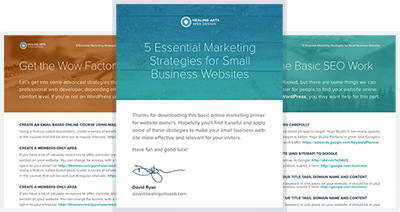 With attention to detail and creative innovation, David delivered just what I envisioned – a website which is elegant, clear, easily updatable and which authentically reflects my offering to the world. Despite our communicating exclusively via the internet, from beginning to end David was always there to skillfully respond to my nit-picky questions and concerns. Even long after the completion of the project, he is still there to support me if ever I need guidance. It’s been a pleasure co-creating together and I recommend him to anyone looking for a stunning website!